The Blues open their 2016-17 season at the United Center on Wednesday night, the 302nd all-time regular season meeting between the Blues and Blackhawks. So in advance of the opener, let’s take a look at the new-and-improved(?) St. Louis team. David Backes is no longer the captain; he isn’t even on the roster any longer (signed with Boston). Also gone are Brian Elliott, Troy Brouwer and Steve Ott. Brouwer was the only Blues player to appear in all 82 regular season games last year. 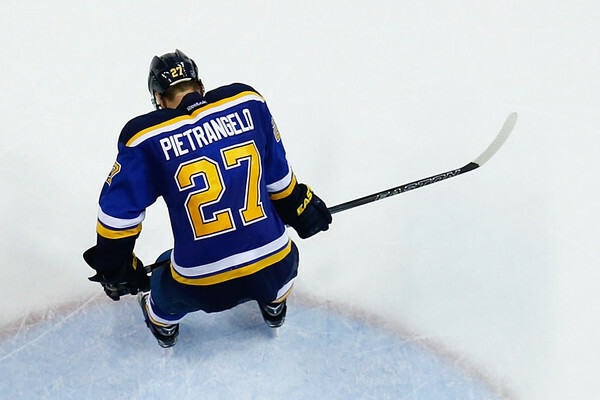 St. Louis named defenseman Alex Pietrangelo their new captain in late August. New to the Blues roster are Nail Yakupov and Carter Hutton. 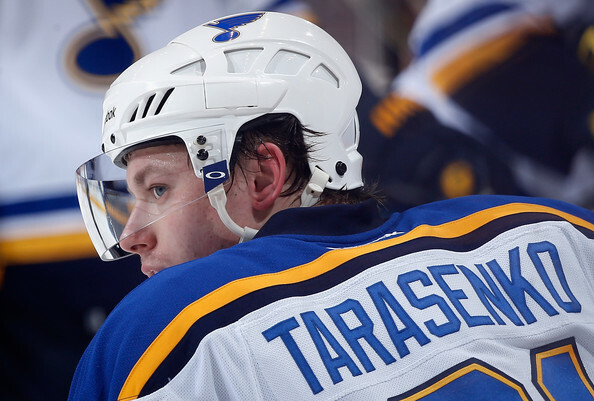 St. Louis still has Vladimir Tarasenko, our pick for the Rocket Richard Trophy this year. He became the first Blues player to score 40 goals since Brad Boyes in 2007-08. Jaden Schwartz, one of the most talented forwards on the Blues’ roster, will begin the season on IR (elbow). He is set to be re-evaluated in four weeks. Colton Parayko emerged as a bona fide stud on the blue line for St. Louis last year and was named to the NHL’s All-Rookie Team. His play will be important for the Blues, who are entering the final season of the contracts of Parayko, Kevin Shattenkirk and Robert Bortuzzo. Parayko will be a restricted free agent next summer, while Shattenkirk and Bortuzzo will be unrestricted. Still not sold on Jake Allen. Have never been sold on him. Now there is no Brian Elliot to back him up. I’ll need to see more out of Parayko as well. The NHL is littered with one hit wonders. Jay Bouwmeester is 33, that around the time that the wear and tear of 10 yrs in the NHL as a top pair defenseman start showing up. This is his 14 yr in the league! No reason why the Hawks can’t finish ahead of the Blues this season. Tonight as the season starts will be my 59th season as a true red, white and black Chicago Blackhawk fan. Had cutouts from the newspapers and the “Hockey News” on the walls of my bedroom way back then. Seen a lot of great players and a lot of changes and many a great team….and of course been through a lot! Its always exciting with the anticipation of a great season with the team and all the fabulous players. This year will be no different as the dreams of a Cup are always in play, no matter what. Just a note jan. 2nd at st.louis is game 40 so look to have 50 pts by tben to be on 100 pt. course and game 20 is nov. 21st in edmonton so 25pts range by then be a decent start. 52nd yr as a blackhawks fan for me mining man just a bit too young for the 61 cup but remember the tough losses to the habs though, very excited about this year and expect a successful one hopefully ending with another cup. MM- With you at 59- remembering all that Ian can’t. Excitred for new season as well. for 81 to score the first goal of this new season early in the first period. #500 for a truly great person who happens to play the greatest sport on earth! See alot comments that about tootoo being a wasted spot. I say putting him with schmaltz and hinostroza so the blues can t take liberties on them is the is what is needed there and if he can creare a little room for them and be presence in front of the net a bit that would be a job well done. Also give kane ir toews a chance to double shift with the young wingers if you want more offence and maybe find some chemistry with them . Parron should be considered “New” on the Blues roster for this year. Although he has been with the St. Losers in the past, he is new to their roster. Good vibes about this season and the yrs after. We have our Defense back to where it was and good young players with upside that are going to get better each yr. Another Blackhawks wave is coming. Mountain Man, Hay, you got me on being the oldest Hawk fan. I started in the 59-60 season when I met in person my favorite Hawk player Mr. Gvoth. In those days there were no multi-million dollar training facilities. The players had to find their own workout places. He used my high school field house. To make a long story short, when I asked him what he was doing there he told me he was working out and HOPED to make the Hawks. I guess he really did! 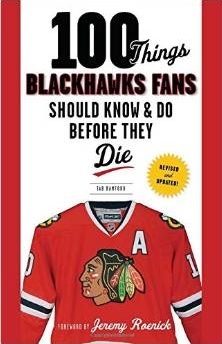 My late father once said that I had three unusual friends that played hockey for the Hawks. Along with Mr. Gvoth, was an upper classman from my U. that was on a Stanley Cup winner but played his entire career for the Hawks and never won the cup, and jokingly the first girl to play defense for the Hawks. My college roommate was a big Hab and Wings fan from Michigan. Took him to a Hawks – Wings game at Thanks giving break, did Hull pound Howe that game in the corners. I had to look in the program to see who the Wings #9 was. It was that bad, Howe was always get up from the ice. Well, I have to get over to BJ’s to what the Hawk opener. and St. Louis will be tough, they’re a good team and I wish the Hawks had Parayko.